Russia's hybrid military forces mounted seven attacks on Ukrainian army positions in Donbas in the past 24 hours, with one Ukrainian soldier reported as killed in action and another two as wounded in action, the press centre of the Joint Forces Operation (JFO) has reported. 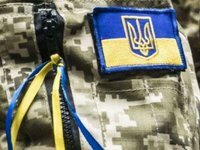 "On March 21, the enemy violated the cease-fire regime seven times, while using arms banned by the Minsk agreements four times, and launched 40 mines of 120 and 82-mm calibers. machine guns and small arms ... Also, the Russian occupation forces shelled our positions with weapons from an infantry fighting vehicle, grenade launchers, large-caliber machine guns and small arms ... One Ukrainian serviceman has been killed and another two wounded in hostilities," the JFO staff said on its Facebook page on Friday morning. In the action zone of the operational-tactical grouping Vostok (East) and Sever (North), Russian occupation forces opened aimed fire from 82mm and 120mm mortars, weapons installed on infantry fighting vehicles, grenade launchers of various types, heavy machine guns, and small arms to attack Ukrainian defenders of the town of Shyrokyne, Avdiyivka, Khutir Vilny, Zolote-4, Pivdenne, Krymske, and Stanytsia Luhanska. The staff said that three enemy troops were killed and another six were wounded. "Since Friday midnight, Russian-led forces have attacked Ukrainian positions near the village of Zolote-1, using hand-held anti-tank grenade launchers, heavy machine guns and small arms. As a result of the shelling, one our defender was injured," reads the report.